Updated. 6.1.16. Received by Yuki Kimura, Japan. 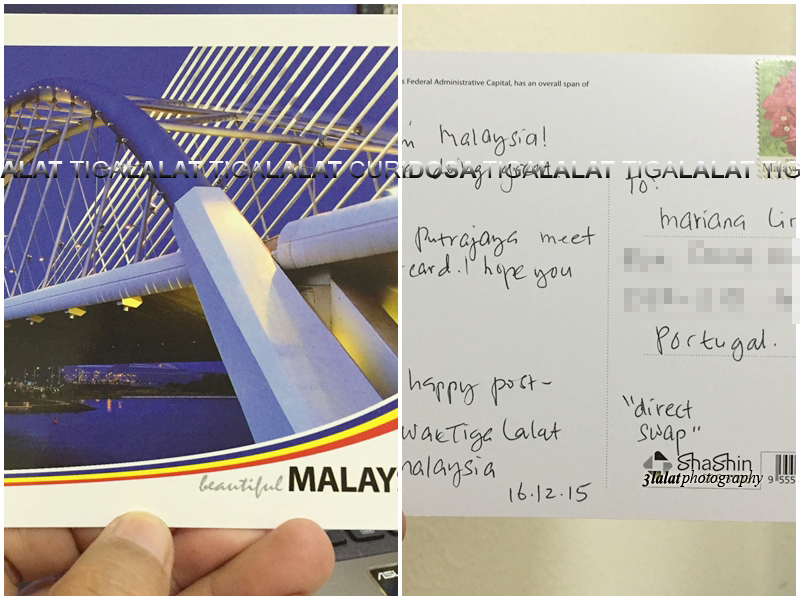 TODAY I send another three new postcards to our post-crosser. 1. Yuki Kimura of Japan . Updated. 6.1.16. Received. Hopefully they will do the same to me. Lol. Note. 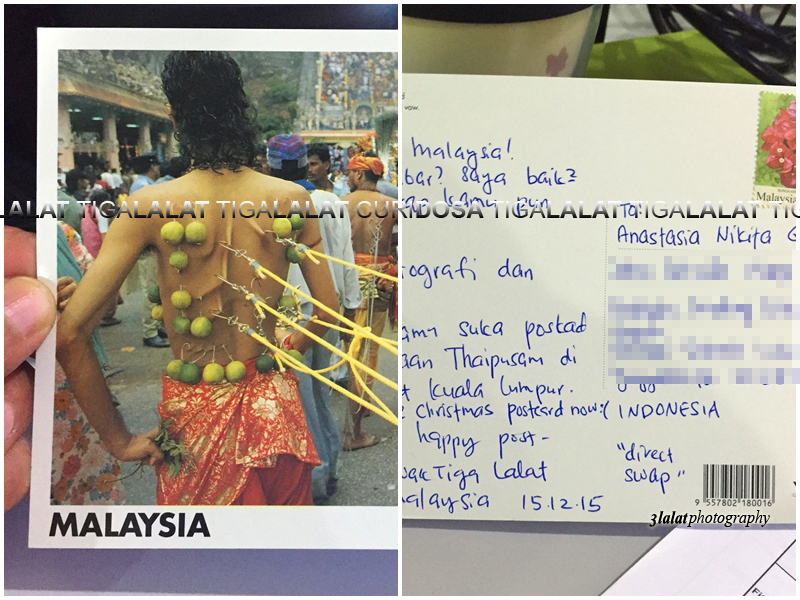 The postcards I used for this batch are featuring Thaipusam festival in Batu Caves. Updated. Later I received a message from Mariana Lino of Portugal that she agreed to swap postcards. 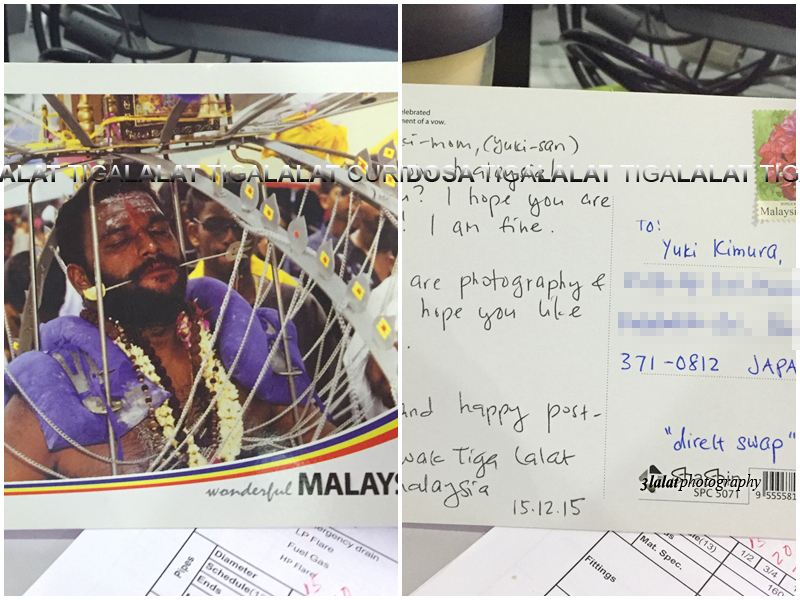 I will send this postcard to her by today. Updated again. 30/12/15. 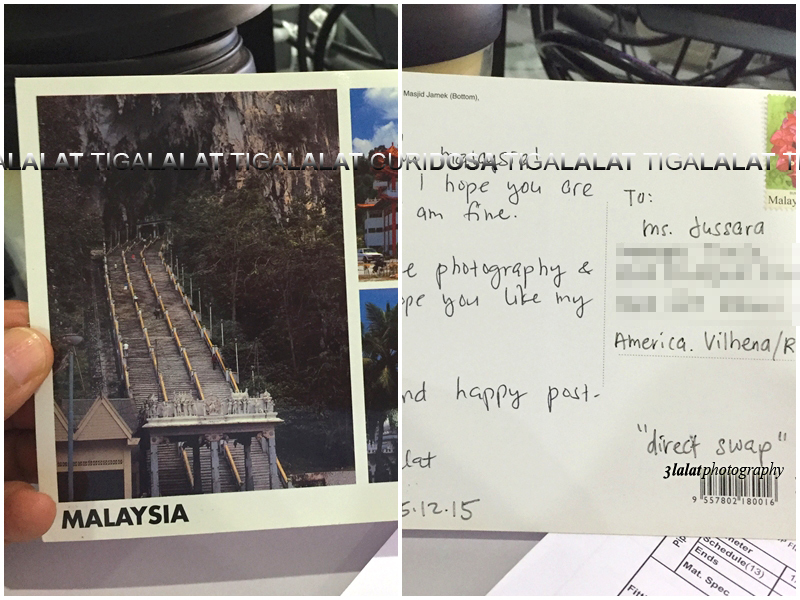 I received her swap postcard. Thank you Mariana. Iskh Wak terasa ngeri tengok postcard tu..